Updated, 11:44 a.m.: Egypt’s president and foreign minister have met with White House envoy Jared Kushner hours after the Trump administration cut or delayed hundreds of millions of dollars in aid to Cairo over human rights concerns. A modified version of Foreign Minister Sameh Shoukry’s schedule Wednesday had earlier showed the meeting with Kushner canceled, which was widely seen as a snub in protest at the aid cuts. But Shoukry later sat in on Kushner’s meeting with President Abdel-Fattah el-Sissi and met with the American delegation separately at the Foreign Ministry. (AP) CAIRO – Egypt’s foreign ministry on Wednesday snubbed White House adviser Jared Kushner and U.S. officials who arrived with him in Cairo, apparently in protest over the Trump administration’s move to cut and delay aid to Egypt. 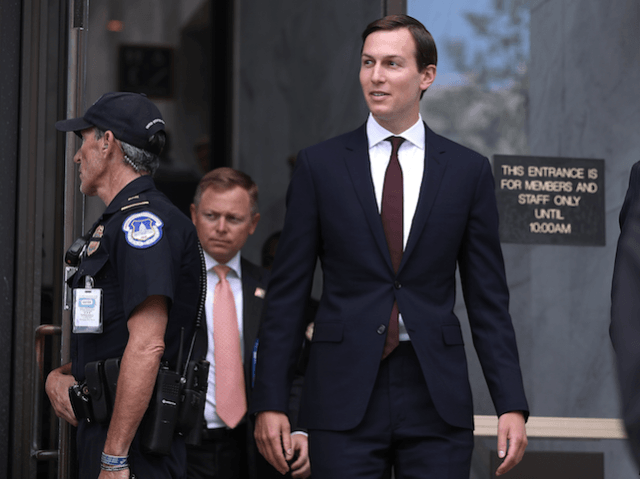 Egypt’s top diplomat, Sameh Shoukry, was to meet with Kushner and the U.S. delegation, but a modified version of the minister’s schedule showed the meeting had been called off, shortly after the Americans landed in Cairo. Egypt’s President Abdel-Fattah el-Sissi was still due to meet with the American delegation, which also includes Jason Greenblatt, U.S. envoy for international negotiations, and Dina Powell, deputy national security adviser, according to the presidency. That meeting was expected later on Wednesday. The American delegation, headed by Kushner, who is also the son-in-law of President Donald Trump, stopped in Cairo as part of a Mideast tour to press Israeli-Palestinian peace efforts. Egypt is among the top recipients of U.S. military and economic assistance. It receives about $1.5 billion annually, with Washington linking the $1.3 billion in military aid and $250 million in economic aid to Egypt sustaining its security relationship with the U.S. and abiding by the 1979 Egyptian-Israeli peace treaty. Egyptian authorities have clamped down on civil society, particularly human rights groups and other organizations that receive foreign funding. Such groups played a central role in the 2011 uprising that toppled longtime autocrat Hosni Mubarak, and pro-government media often present them as part of a conspiracy to undermine the state. The authorities also arrested thousands of people in the months following the 2013 military overthrow of Islamist President Mohammed Morsi. Most of those in detention are Islamist supporters of Morsi but also include a number of secular and liberal activists. When Trump met with el-Sissi in the White House in April he made no mention of Egypt’s human rights record in the post-meeting statement, an omission that many took as a sign that the issue was not a priority for the administration. Yet, two months later, two senators from Trump’s Republican Party slammed as “draconian” a new Egyptian law that effectively bans the work of non-governmental organizations and urged that it be repealed. The law has triggered wide international backlash and raised concerns over human rights conditions in Egypt. But Egypt has defended the law, saying it was drafted and passed in accordance with constitutional provisions. El-Sissi is grappling with an insurgency by Islamic militants in the northern part of the Sinai Peninsula, an ailing economy and a rapidly growing population of 93 million. The militants, led by a local affiliate of the extremist Islamic State group, have in recent months targeted Egypt’s large Christian minority, killing scores in a spate of attacks.